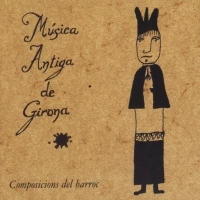 The Music Chapel of the Cathedral , already established in the 13 th century, is one of the foremost institutions in the barroc life of Girona. Constituted by twelve clergy and four acolytes (severs, choir-boys) the majority coming from the Girona areas, was led by a chapel-master of high professional category, charged periodically compose and conduct new pieces of music for the religious ceremonies, having at its disposal a notable budget, and its activities were regulated in detail. The archives of this chapel, one of the important ones in the country, conserves a collection of close a thousand pieces of music of the 16 th and 17 th century, in which one can appreciate the strength of religious music as much as a diffusion of the ecclesiastic message, as a prestigious social instrument, in a Girona that multiplies the number of its inhabitants, broadening also its social aspect. This was the only music of quality that could be regularly heard in the city. Following strictly the directives of the Counsil of Trento, the chanting of this Chapel had two principal objectives: the Gregorian chant for the liturgy celebrations and free production of the para-liturgy, destined for religious acts of more popular aspect, where the integration of the different voices of polyphony with the sound of an ample variety of instruments, under the stylish precepts of the so-called hispanic barroc. The villancico was one the most recurring forms, which was a light piece with a grand preponderance of melodic line and with an air that frequently approached the dance that reflected a pretended idyllic ruralism. Written for one or two groups of voices, it is presented with an instrumental accompaniment, generally of ternary rhythm, and which some texts, in castelano, very cultured and a rhetoric full of instructive symbolism. Josep Gaz (1656-1713, active in Girona between 1690 and 1711) notable among the composers at the end of barroc in Catalunya. Born in Martorell and buried in the cloister of Girona cathedral, his catalogue of villancicos in the Chapel archives is of notably quality. Hoy que cultos le dedican is probably one of those that were interpreted most, if we are to judge by the variations conserve ding the sheet-music. Dedicated to St. Narcissus , patron saint of the city, comprised three vocal choirs and one instrumental. The text compares the white of the flower with the purity of the saint. Of villancico anonymus Aire, agua, cielo y tierra of the beginning of the 18 century, we only have the refrain that plays with the symbols of the four elements of the Creation with the duality heaven/earth of the Eucarist. As regards Jazmines y azuzenas, actually conserved in the Library of Catalunya, also uses the flower symbolism but with a more poetic air. Manuel Gònima (1712-1792 born in Lleida and active in Girona between 1735-1774) was a composer in the transition between barroc and classicism. Of its 71 works preserved in the archives, outstanding in his motet Laetentur caeli, in which is show the gallant flowing style coming from Italy, less strident and with softer harmonies. Dé al ayre su dulce voz, Amantes jigueros and Amor sí, placer no are Solos for treble, probably performed by the Chapel boy sopranos, in which earthly love is compared with heavenly. The minuets (AMCG XII 240) are of author unknown, written for a keyboard, and were suitable as circumstancial pieces as well as studies for the harpsicord, harp or lute in the practical teaching of the Chapel boys. We have written evidence of pinched string instruments as well as some musicians that they played them: Antoni Milans, Chapel Master and harpist in the Catedral between 1719 and 1733, and Josep Anglada from Cassà de la Selva, lute and violin player in the Chapel about 1730. Ball of the Príncep comes from a collection of dances that supposedly were deposited in the archives from the musicians occasionally contracted.